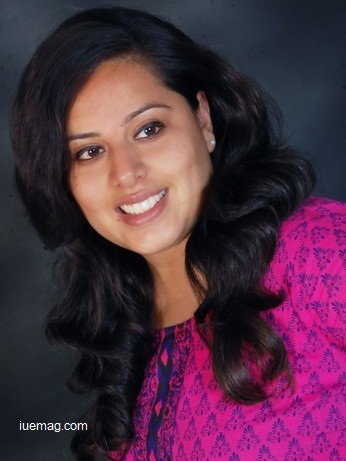 Founded by Latika Wadhwa, a young girl of 24, in the year 2013, the organization MaStyle Care has been able to create an impact on the lives of more than 20,000 people within one year and has changed the face of the NGO sector in the country. MaStyle Care is a not for profit organization that runs events on social issues every month in Delhi and Meerut to spread awareness about the burning issues among the masses. During the year 2013, around Christmas, Latika thought of doing something for the underprivileged kids who roam on the streets of Delhi during the cold winter season. She approached people in her friend circle for donating clothes, eatables and stationery, and finally, started a campaign over social media for the same. Lot of friends and family members came forward to help her. On the eve of Christmas she approached the nearby outlet of Dominos for arranging a pizza party for the poor kids of the labourers. Dominos staff was very helpful and they sponsored the party with pizza, cake and cold drinks. This positive outcome gave her wings to fulfil her dream of helping the society. From here, the journey of MaStyle Care began and since last one year Latika has left no stone unturned to help the needy. Latika wanted to create an impact in the society at large numbers so that people come and help the needy. She thought of carrying out social events that would not only attract larger crowds but also would be able to achieve the motive of spreading awareness. Unlike the other NGOs it spreads awareness for the cause through events. The other major challenge was quitting a well-paid job and entering a work culture where she had to balance MaStyle Care and also earn her pockets through working independently on the projects which are now paying her well. Currently, the organization is self-funded and runs through the help and support of lot of people who are willing to help the society to make it a better place to live in. Latika being an independent PR and writer spends a major portion of her earnings in her social venture to make it reachable among those who need her help. Apart from this, a lot of friends and family members donate in the causes that the organization undertakes on itself. “We have sent books and stationery for Mumbai slum girls, helped in sending medicines for J&K floods victims, sent stationery for autistic kids in Bangalore, donated clothes to street people,” states Latika. Her mother, as well as, some of her close friends supported her to bring out the change in the society, whom she considers as the pillars of success on which MaStyle Care lies upon. The aim of the organization is defined in its simple three-word motto - “Collect! Donate! Bring Happiness!" MaStyle Care is the first organization that has introduced concepts like ‘Chalk Walk’ and ‘Pop The Balloon’ in India. Through these concepts the organization has been able to impact more than 8000 lives of people based in Delhi and Meerut as these social events not only engage a lot of people but also help them to bring a change in the society. Recently, the organization carried out Colorothon Delhi – A Breathe Entertainment concept in order to bring together people from different castes and religions onto a single platform to celebrate art and saw participation of more than 10,000 people. "It is a platform where we bring the public to contribute to the society in the most transparent manner wherein both the donor as well as the needy are connected directly," says Latika. An incident which touched Latika’s heart deeply is narrated by Latika here- “In 2014, when we completed one year of our journey and celebrated our birthday in a girls' home, we had arranged a princess theme party for orphan girls. During the cake distribution one kid came to me and said, ‘Thank you for giving me such a beautiful cake, I’m lucky to have this cake in my destiny.’ Listening to those words from such a small kid completely took me away. I was dismayed as the cake which was a normal thing for me was like a luxury for the little one and she thanked me for that! !” she explains her feelings. “Remember that the path you choose is only meant for you; so, don’t change it because others are not following it.”- Latika Wadhwa. Any facts, figures or references stated here are made by the author & don't reflect the endorsement of iU at all times unless otherwise drafted by official staff at iU. This article was first published here on 14th April 2015.